When: Sat., May 4, 3-7 p.m.
OK City Chorus Support local artist while having fun on Derby Day. 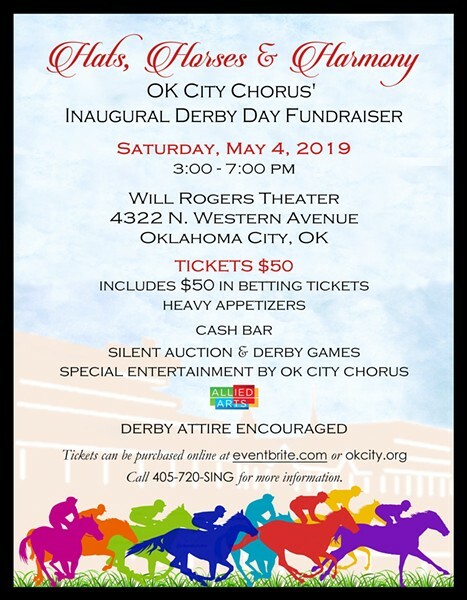 OK City Chorus' Inaugural Derby Day Fundraising Event. Food, Live Broadcast, Games and Fun.